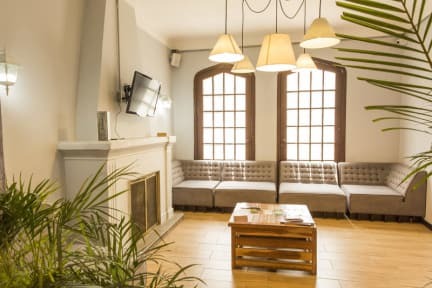 Picaro Bogota is one of the best hostels in Bogota, located in a beautiful English style house in Chapinero, we offer the best experience for travellers to enjoy our lounge and common areas, chill at our terrace, feast in one of our famous BBQs, live the night life in our bar with live music, master your technique at our pool room, discover the city with our bike tours, and after all relax and rest in our dorms and private rooms. We are a party hostel during the weekends! it might get loud until 03:00 am on Fridays and Saturdays. Located in Quinta Camacho, an English style neighbourhood in Chapinero, one of the safest and coolest areas in Bogotá, close to shopping malls, restaurants, museums, bars and the best party areas of the city. 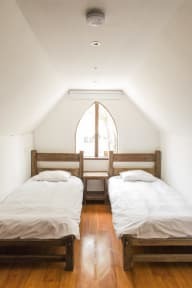 At Pícaro Bogotá you can choose to stay in roomy shared dorms or cosy private rooms. All our dorms count with orthopaedic mattresses and built-in lockers. Our private rooms have en suite bathrooms,perfect for couples. All our facilities are designed for your comfort and to make the best of your stay at our house. Taxes not included for nationals 19%. Non nationals are exempt from taxes. Breakfast from 5.000 cop per person.